Exquisite web and graphic design for canine, equine and feline breeders, clubs, kennels, cattery and all animal-related businesses. Get premium quality web design services at affordable prices and drive your business to success! Your website is an essential part of your online presence and can greatly enhance your kennel or animal business. To be effective, however, your web design needs to be top notch. We at Design By I.S. specialize in creating both aesthetic and functional graphic and web design, suited specifically for the needs of dog and cat breeders, and any pet or animal-related business. With years of experience in the industry, we have successfully developed engaging websites for kennel, horse and bird clubs, and created appealing and stunning animal breeder business cards. We offer a wide range of web design and graphic services, suited to your individual needs. We believe that the excellent web design should not be a privilege, so our quality services come at affordable and competitive prices. Our team of professionals will help create an intuitive and user-friendly website that will reflect your business aims and goals, present you as a professional and a leader in your field and make your visitors dream of becoming your new clients. In addition to that, we also develop exclusive cards for various special occasions, such as Christmas, wedding celebrations, birthdays or personalized cards for that special someone in your life! 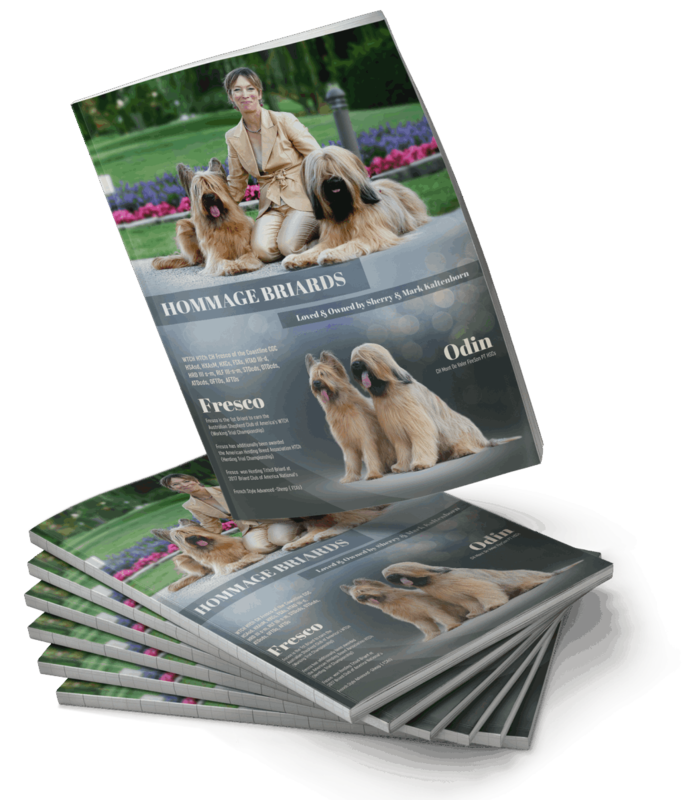 Do you want a professional web site or graphic ad for your breeding program? 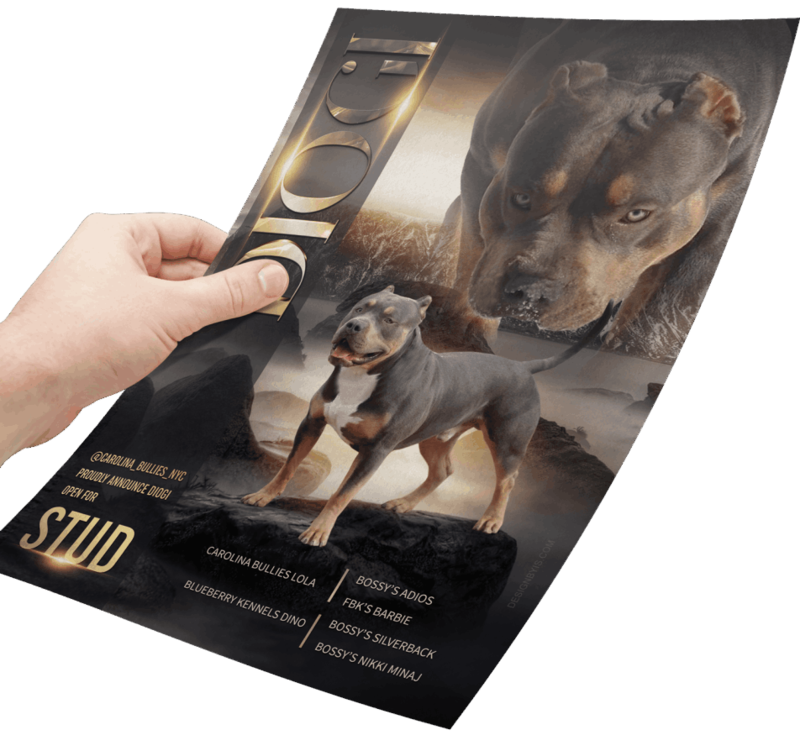 Having a web and graphic design for your show dogs might seem daunting initially but it’s a very important aspect of show dog business. There are lots of steps to the creation and implementation of a successful show dog website and graphic designs. It is of great importance to make your show dog business known and accepted by many people and the best way to achieve this is to publicize your presence. Presenting your dog with a professional advert is not just boost your dog business but it makes you credible and your clients will trust you based on your experience. The goal of displaying a professional advert is to communicate with your clients in order to lure to engage with you and patronize your business. We provide an extensive variety of web design and graphics services that fit individual needs. Our quality services come at the cheap and competitive amount. What a wonderful experience. The Ad is beautiful, elegant and powerful. I also am not easily impressed by businesses and their professionalism. I am so very pleased to say that this company was phenomenal on all fronts.